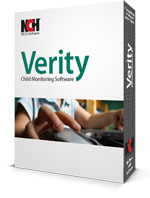 Verity parental control software allows you to track and monitor what your kids are doing on the computer and online in an easy, non invasive way. Instead of looking over your child's shoulder every time they use the computer, Verity gives parents peace of mind. Let Verity do the watching for you and see important details regarding what your children do on the computer. Set internet restrictions by domain and keyword to block inappropriate web content. Set time limits on how long your children can spend on the computer everyday. 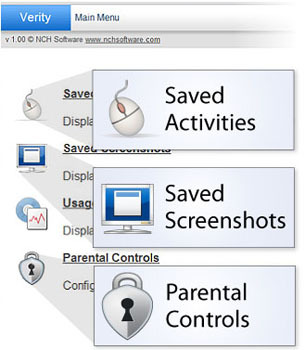 Monitor emails and instant messages to identify and stop online predators.